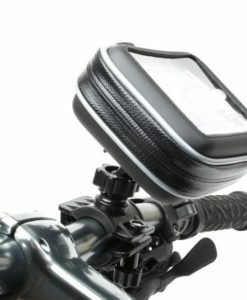 The SW-MOTECH universal RAM mounted GPS kit with large Navi Case Pro for 22 mm to 28 mm handlebars comes with everything needed to add a navigation unit to the cockpit of your motorcycle. 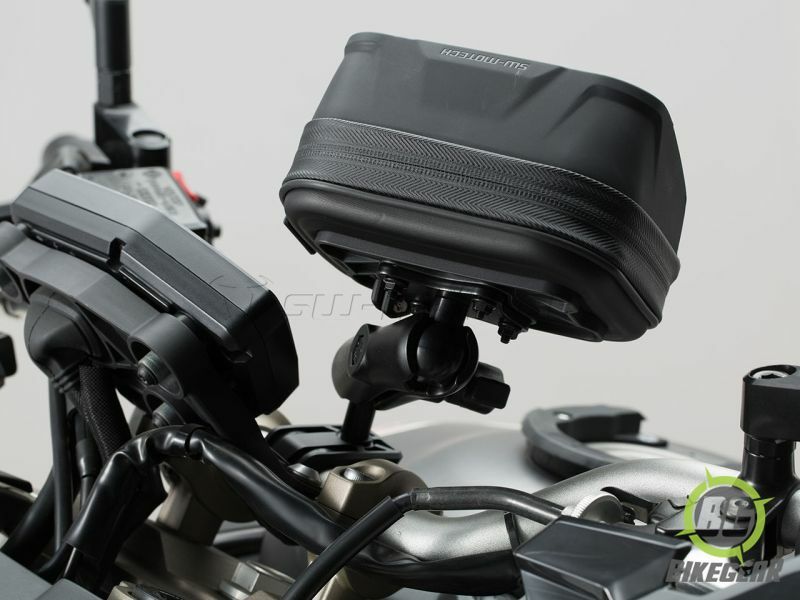 The SW-MOTECH universal RAM mounted GPS kit with large Navi Case Pro for 22 mm to 28 mm handlebars comes with everything needed to add a navigation unit to the cockpit of your motorcycle. 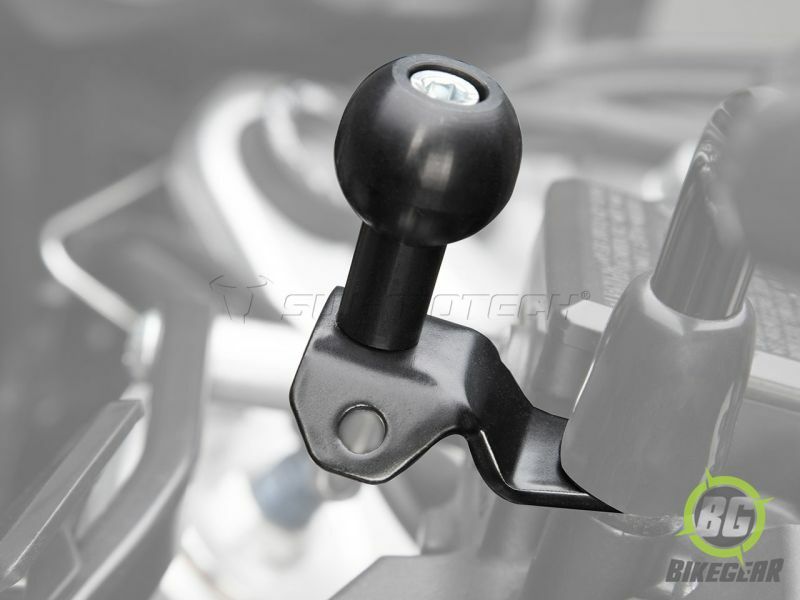 Three options are included to secure your device; a clamp mount for handlebars  22  to 25 mm in diameter, an M8 Ball that can bolt to the handlebar clamp, or a mirror mounted ball. This handy kit features a splash-proof case with a sun visor and touch screen compatible face. 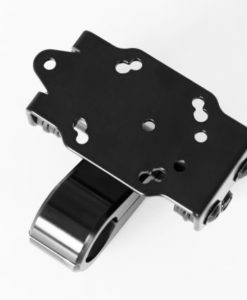 The back side of the device holder uses a universal plate with a 25 mm ball that connects to a  75 mm double socket arm which can swivel on both ends for the perfect viewing angle. 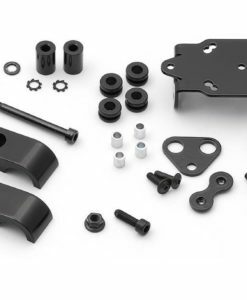 Everything needed to mount your navigation unit is in this kit. Please be sure your device can fit the interior dimensions before ordering. 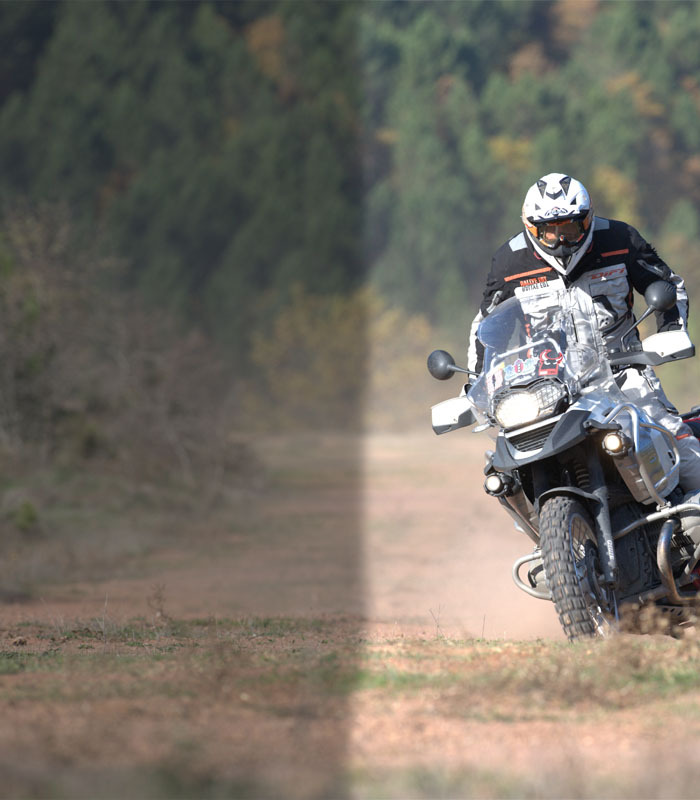 Add a GPS unit to your bike with this well thought out universal GPS kit from SW-MOTECH and enjoy the convenience of having directions at your fingertips! 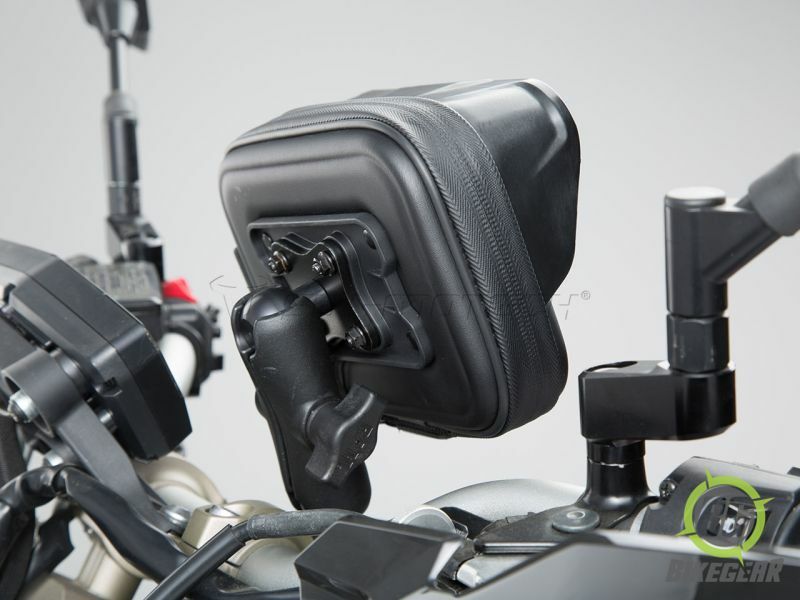 Complete mounting solution for fitting Navigation devices. Three convenient mounting options for the cockpit. Accommodates handlebars 22 mm to 28 mm in diameter. RAM Mount M 8 ball mount. Ram double socket 75 mm  arm. Navi Case Pro L Interior Dimensions: 150 x 108 x 35 mm. Navi Case Pro L Exterior Dimensions: 155 x 113 x 40 mm. 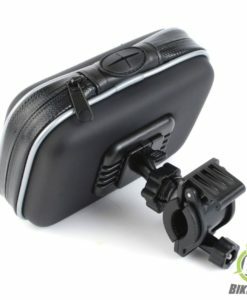 Splash proof case with sun visor. Mounting clamp with rubber inserts. M8 ball and adapter for M6 ball. 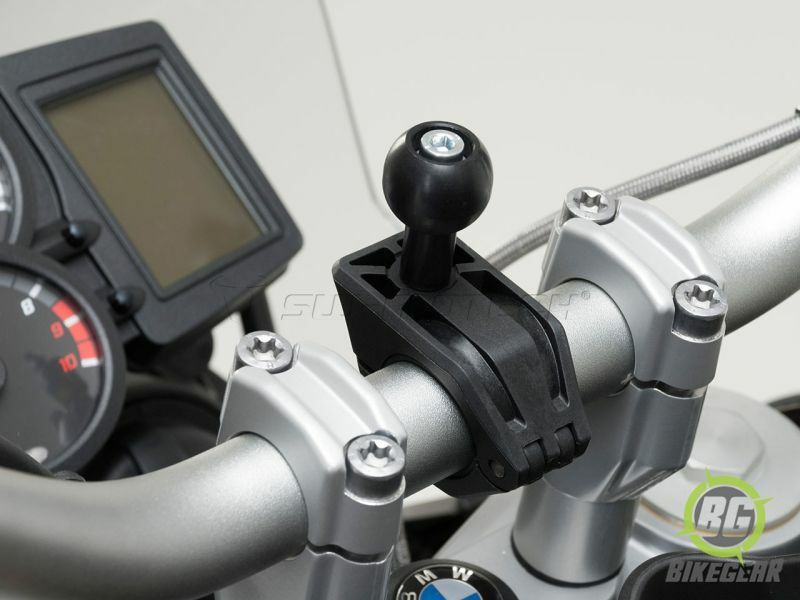 SW-MOTECH Vibration-Dampened GPS Mount for use with 22mm tube handlebars. 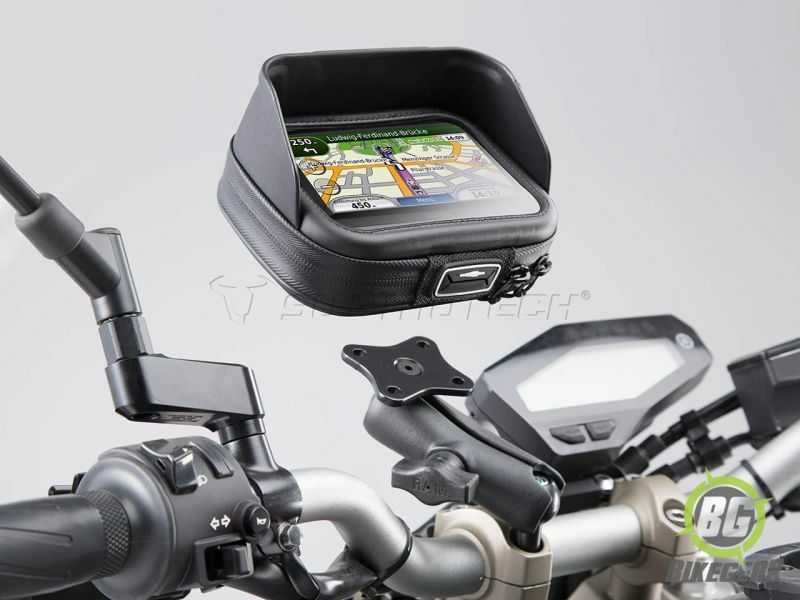 Integrated handlebar mount and water resistant bag suitable for a GPS or phone 13.5 x 8.5 x 3.5 cm high or smaller.